Esh22 silk. Dark black (much darker than photo). 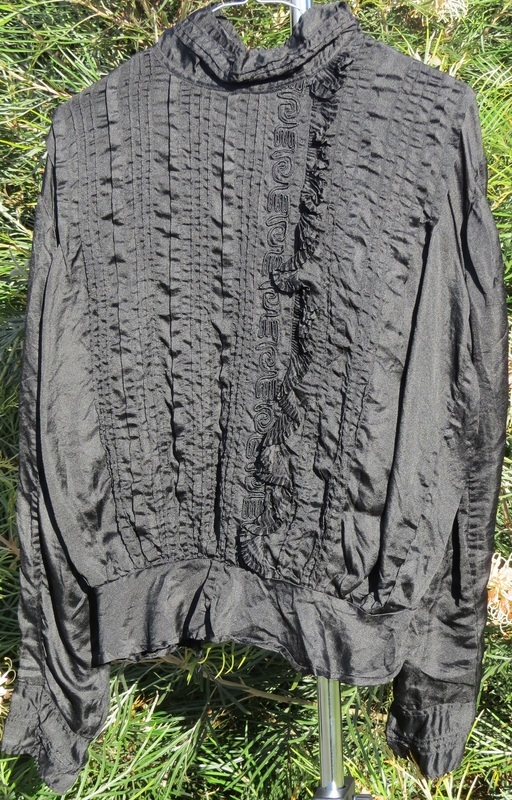 B 122 (should be worn loose), W 82, length 55, sleeve length 47cm. Summer weight. Nice feel to the fabric. $85. Esk6. 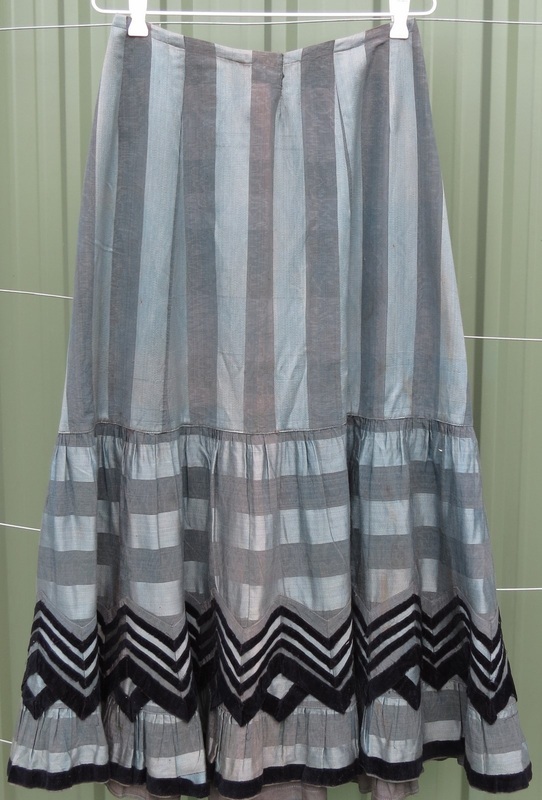 French Belle Epoque skirt, silk with black velvet trim; steel blue and moire grey stripes. Waist can be tightened with drawstring, maximum 85cm. Length 90cm front, slightly longer at the back. $150. Esk7. W 76cm, length 99cm. Soft white cotton. Could thread coloured ribbon through one section of lace. $175. Vsh1. 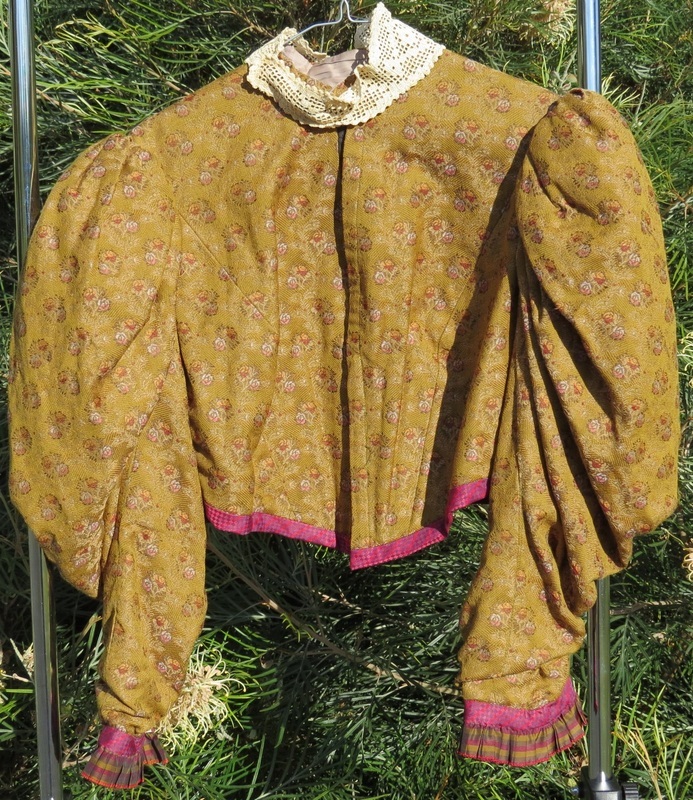 Victorian walking jacket, wool challis, winter weight. B 106cm (wear loose), W 80, length 51cm, sleeve length 48cm. 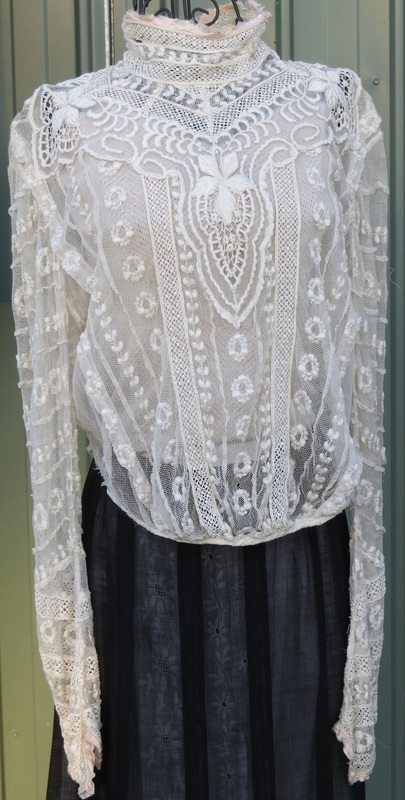 Padded puffed sleeves. Lined and boned. $165. Esh23 M - L B 104 (should be worn loose), W 76. Boned collar, circumference 32cm; could leave unfastened. Gibson Girl pigeon-breast style. Long sleeves with pointed cuff. 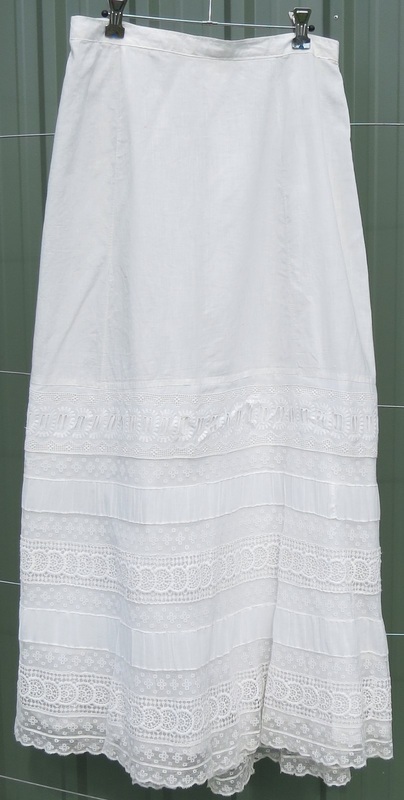 Normandy lace (embroidered on net), not lined. Silk ribbon at neck will be replaced. 1890s. $130.